Home>>The Rest>>Morgan Academy>>Autobiographies>Evelyn Neil<You are here. 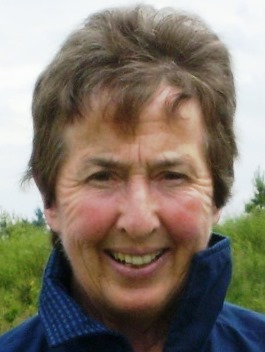 Born in Madderty Perthshire on 18 October 1936. Father was a signalman on the railway and he was transferred to Balquhidder station about 1941/42. I attended Callander High School travelling daily on the school train from Crianlarich, Tyndrum and Killin Junction – then Balquhidder station, Strathyre then school!! When Mr Beeching closed down the Glasgow to Oban railway line dad was transferred to Dundee in January/February 1949. 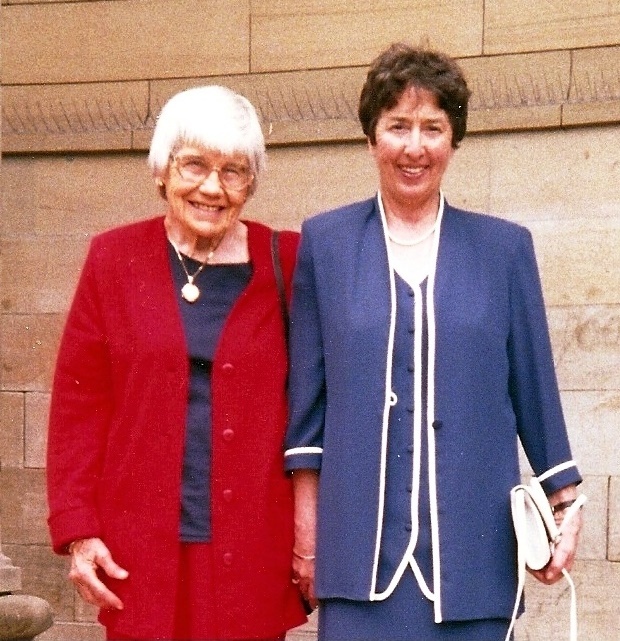 I was sent to Downfield Primary School where I was in same class as Margaret Walker and Nora Fraser. Started Morgan in August 1949 still in the same class as Margaret and Nora (1A Girls). Also became good friends with Pat Dowie, Maureen McQuire, Alison Hill and Isa Wilson. Had applied to be an air hostess but at that time you had to have either languages or nursing, and you had to be 21 before either BEA or BOAC would employ you. At that age 21 seemed forever and all my contemporaries were going to college or had a job to go to. Since I couldn’t be an air hostess, I applied for PE College. However, I was too late for admission that year but could re-apply for 1955. Being a very impatient person I then decided to work for the TSB Bank and took secretarial lessons. Eventually left the bank and worked for T.C Keay’s and then the Potato Marketing Board. 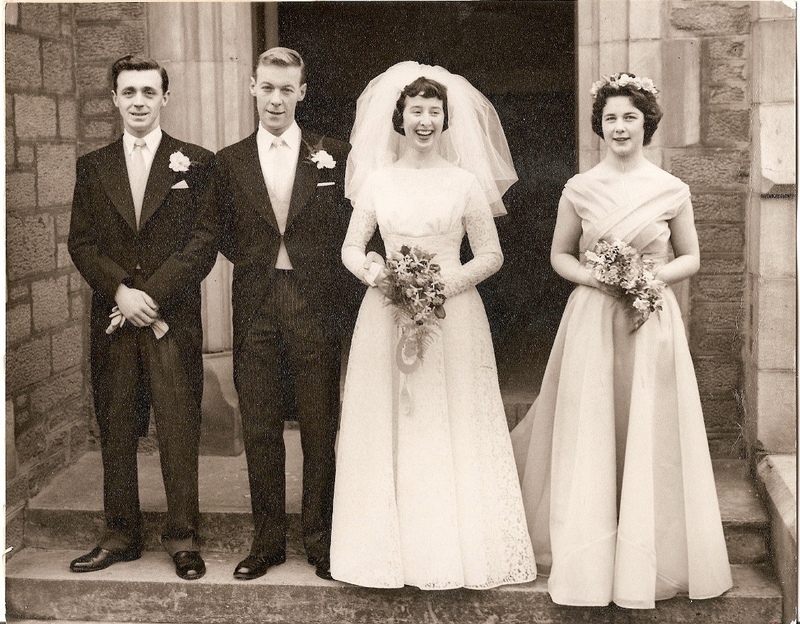 Met John Fairweather when he had just finished National Service and we got married in March 1960. Moved straight to London, where John actually had a job with our famous Mr Beeching! We lived in Hampstead, almost right across the road from the Heath. I got a job as a secretary with a law firm in Chancery Lane, Holborn, the main area for all high class law firms and law courts. The lawyer I worked for had many well-known clients, but he was such a boring person - very snooty and a high-flyer - but it was interesting to meet his well-known clients. I left them after a year and worked as a PA for a building firm, the Felt Roofing Advisory Board with offices near the British Museum. My new boss was the complete opposite to the other one. He was such a lovely man, like a second father to me. 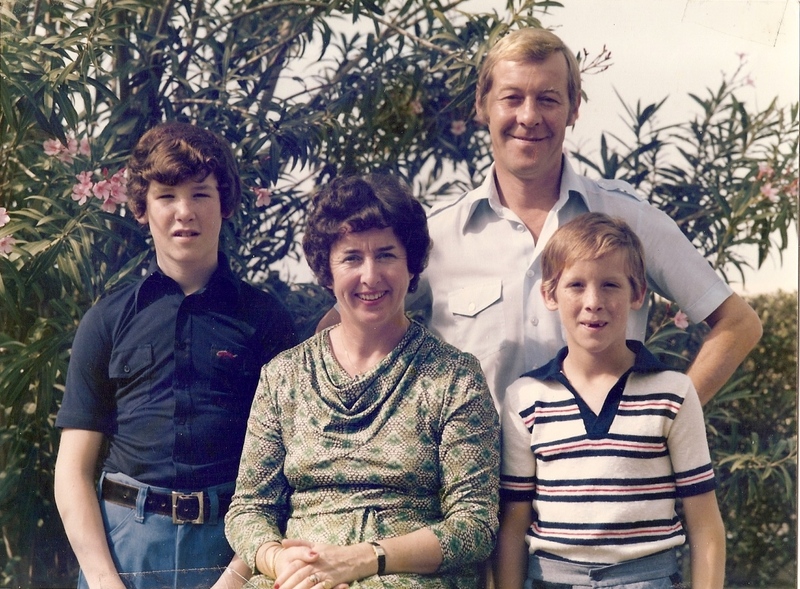 I only left them when I had my first son, Gavin, in 1965 but always kept in touch with him for years after and, while we were in Bahrain one of his sons came to stay with us for a few days on his trip round the world. Unfortunately my ex-boss died a few years after we went to Bahrain but we still keep in touch with his sons. After Gavin arrived we decided moved to Horsham. After having lived so close to his work, the daily commuting to London, after having lived only 10 or so minutes from his office, meant John only ever saw Gavin at weekends. When he got the offer of a job in Bahrain with the Bahrain Petroleum Company (which Caltex is connected with) he jumped at the opportunity. He went out to Bahrain first in August 1966 and Gavin and I joined him in October 1966. In 1967 our second son, Colin was born. We enjoyed a wonderful life in Bahrain, especially for the children. The company had its own school in Awali (the company village) where we lived and all the teachers and head masters were British. The education was first class with small classes and when they were 11 they went to boarding school at Strathallan, which the company paid for. We eventually returned to Broughty Ferry in October 1984. Hockey: Sports have always been a major part of my life, and the most important was field hockey. I had started playing hockey while at Callander High School and I could hardly wait to start up again when I went to Morgan. In second year I was actually picked to play for the 1st X1. I was awarded hockey colours in 1951/52, 52/53, and 53/54. I played for Junior Midlands and when I left school played for Morgan FP’s and Senior Midlands and Scottish Trials. During the summer terms I enjoyed athletics and was better at the longer running distances. Took part in tennis and swimming but hockey was always my favourite(I thought I would die if I ever had to give it up!. 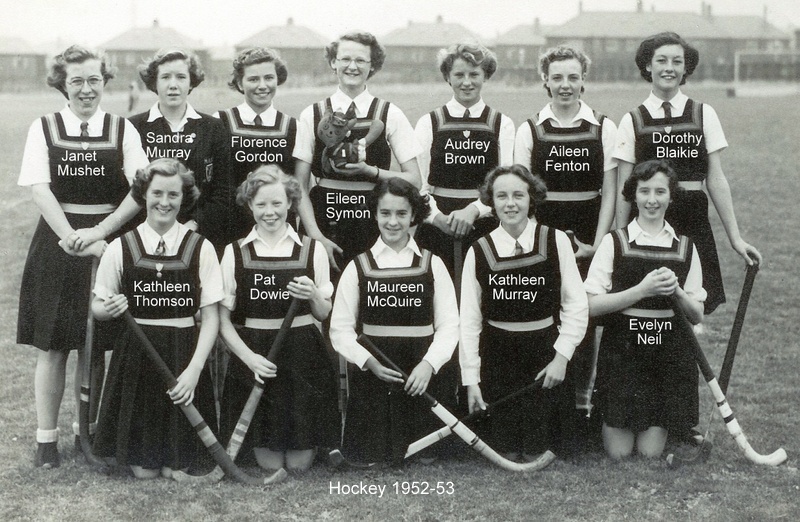 I joined Chiswick Ladies Hockey Club in 1960 and then in 1961/62 season was selected for Middlesex 3rd X1. After half a season I was promoted to 2nd X1 and then in seasons 1962/63 and 1963/64 played for the 1st X1, which included a number of the English hockey squad. Played in the Territorial trials held in Brighton in season 63/64 but was only a reserve. From 1961-1965 I was also Chiswick Ladies secretary. 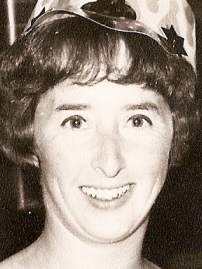 I had to stop playing during part of the season 1964/65 as I was pregnant. Squash: I became involved with squash, tennis and swimming a lot more in Bahrain. 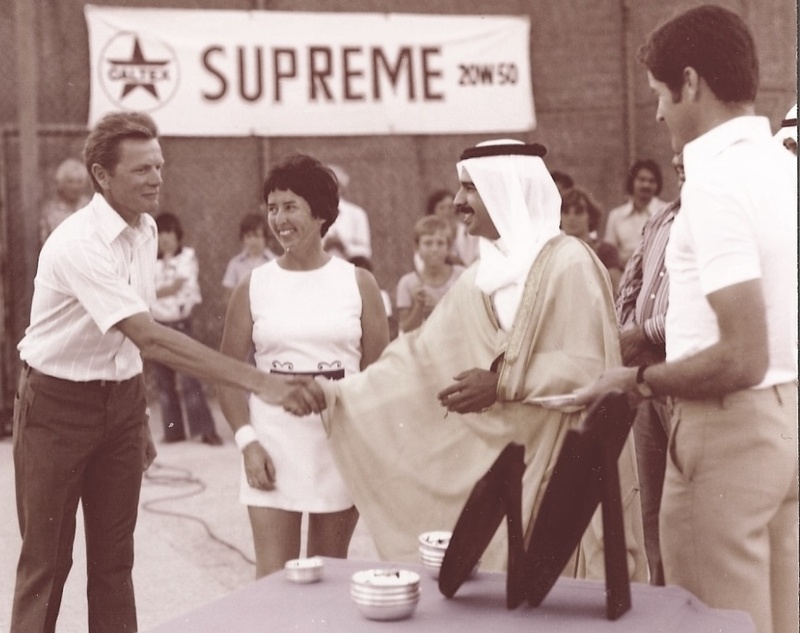 I played squash in the Bahrain League which involved clubs who worked for other British companies in the capital, Manama. One day I was playing a league match with a girl whose face seemed vaguely familiar but as she was S. African I thought it was imagination. However we got chatting and I was telling her we were going to Cyprus with the men’s hockey team as they were to be playing all the British bases there. She said she loved hockey too and had played in 1963/64 while training in London. I asked which club and she replied Chiswick Ladies! I was so amazed, but then remembered that, at that time she was from Rhodesia, was training to be a nurse at St Mary’s Hospital in London, and had joined our club for the duration of her stay. She was now living in Manama with her husband who was a flight engineer with Gulf Air. Talk about coincidences!! We still keep in touch. Tennis: I was runner-up in the Bahrain Ladies Open in 1979 and my prize was a free ticket to Paris courtesy of British Airways. However we just used it in our travel arrangements for going to UK on holiday. 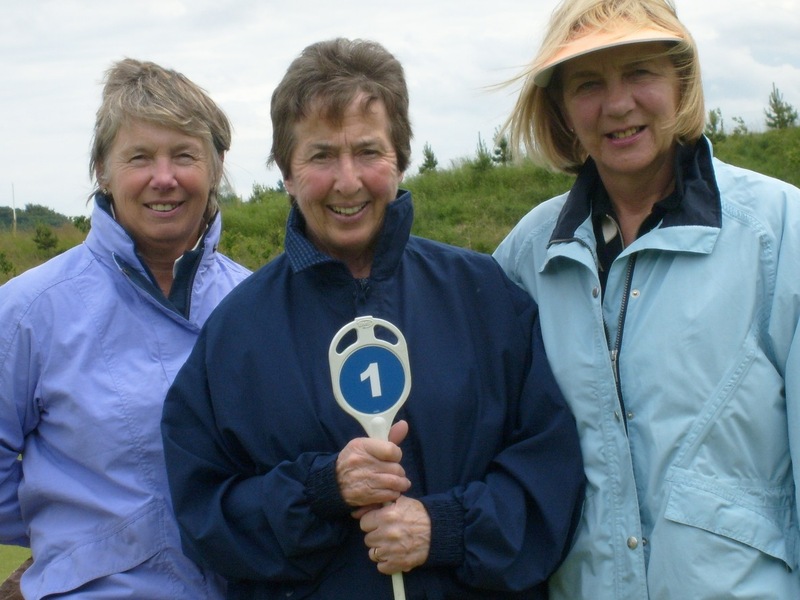 In 1980 I eventually won the Bahrain Ladies Open and my prize, courtesy of Cathay Pacific, was free flights for both John and me to Bangkok for 3 days, where we were met by a car and driver who took us to the most magnificent hotel I have ever stayed in. John was so sure all this was not free but it was!!! We then spent 2 weeks in Singapore (again that was part of my prize) but as we had a friend from Dundee working there we stayed with them and flew back via Hong Kong, which we had to leave in a hurry ahead of a massive typhoon which was about to hit the Colony – quite an experience! 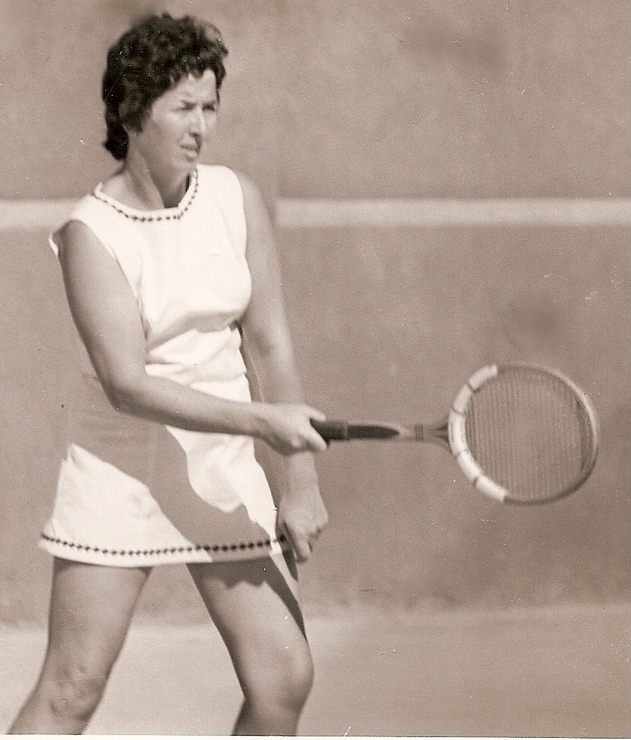 I also won the Awali Ladies singles, once and the ladies doubles twice, and the mixed doubles (with a friend’s husband as she didn’t play tennis!). We also were runners-up in the Bahrain Mixed doubles. Swimming: Being in a Middle East country with very hot weather swimming was very popular and we had two huge pools. When the school asked if anyone was interested in coaching juniors, as the present coaches were due to leave, needless to say a friend and I volunteered. Every Easter and summer holidays for 4 years, the company employed an international and Olympic coach to come out for the duration of the holidays. He came from either Millhill or Loughborough, the top sporting associations in UK, and we started with the basic and then gradually acquired all qualifications right up to honours and life-saving. I was put in charge of these various qualifications (from bronze, silver, honours and life-saving). We had very intensive coaching with the children on every occasion and I liased with the English Swimming Association to carry out the various tests. Of course, the kids asked me if I had done all the awards (which I hadn’t then) so they said I had to do them as well – which I did. Since coming back to Broughty Ferry, I joined Forthill Tennis and Squash clubs. After helping a squash player at Forthill who was training for the first Dundee Marathon, a friend and I decided we did quite enjoy running so we joined Dundee Road Runners. I started running 10ks and half marathons in 1985 and managed to be awarded Road Runners “Most Improved Runner” of the year! I trained for 1 marathon but didn’t do it as I was going on holiday the next day to Canada and was afraid I might have an injury! I did win quite a number of senior running races right up till I broke my ankle in my 60’s (playing football with my grandson). Jenny Wood Allan and I started the Dundee Running Sisters Group, which is still in full swing. (Jenny was a world famous Dundee marathon runner, world record holder and the honour of being the oldest lady marathon runner in the world. She took up marathon running at the age of 70 and did her last run when she was 92!